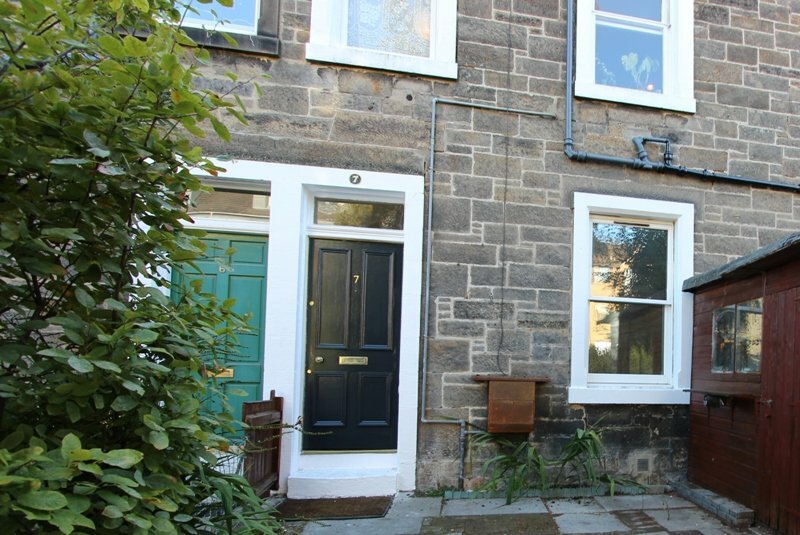 An exceptionally charming lower colony property in the increasingly popular area of Leith, with flexible living accommodation and in a ready to move in condition, having been lovingly refurbished, whilst retaining the real character of the property. 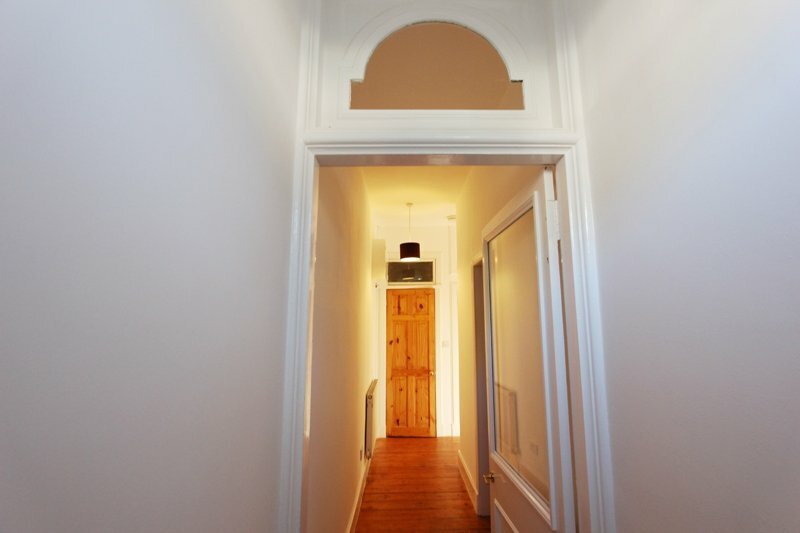 Entered via a sunny vestibule and hallway with natural sanded wood floors leading throughout all of the accommodation, there is a large lounge with feature fireplace, delightful window seat looking out to the east facing garden, which basks in sunshine throughout the morning. 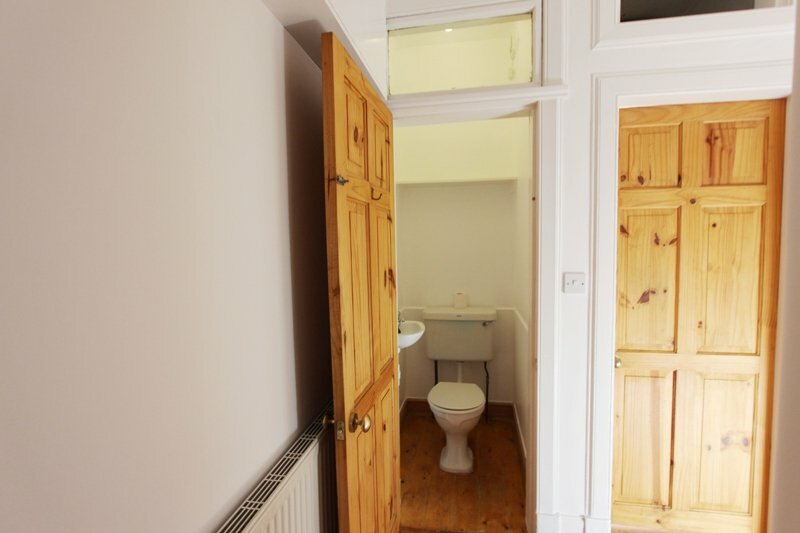 The attractive wall lights give this property a light airy, but welcoming feel. 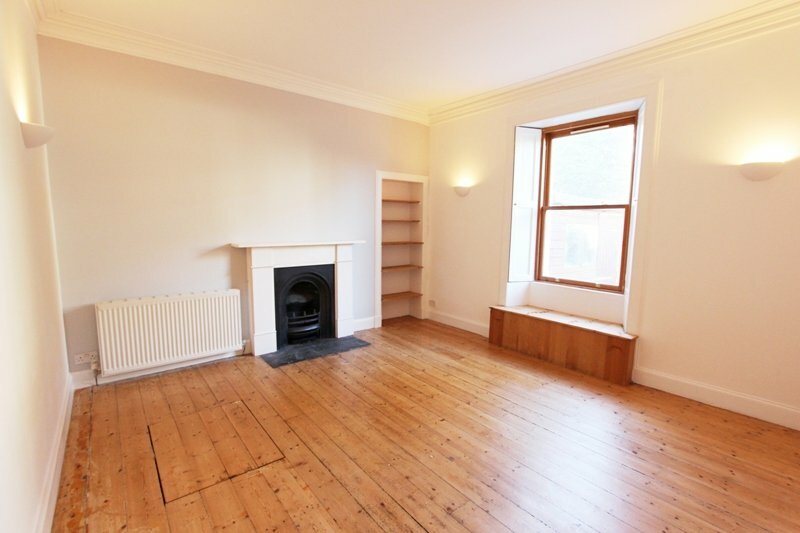 This room could easily be utilised as a large bedroom. 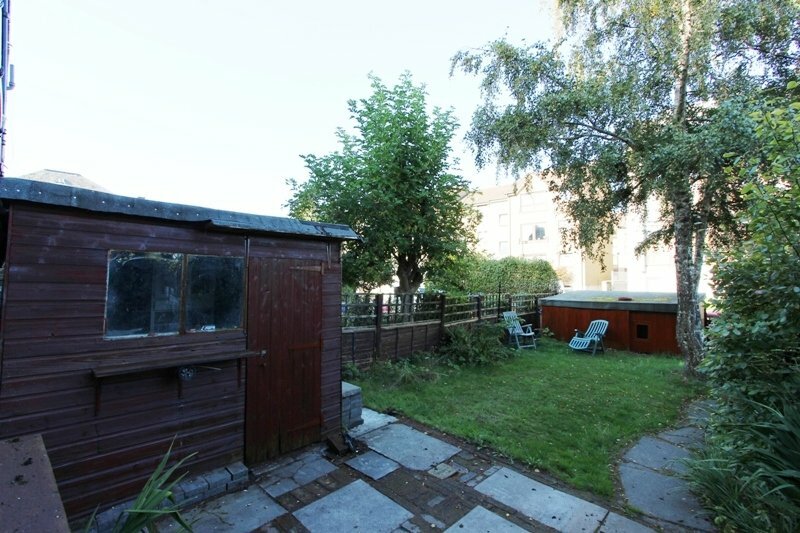 The spacious dining kitchen lies to the rear of the property and could work well as an open plan lounge/kitchen. 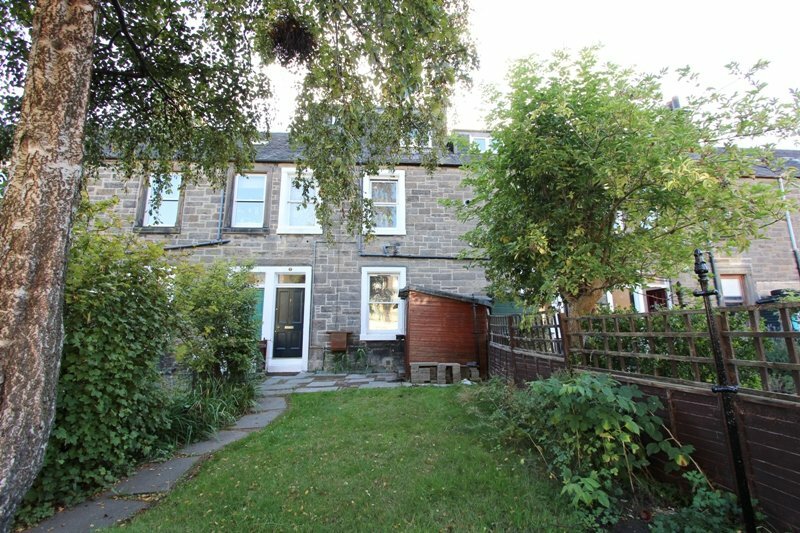 Benefiting from a newly fitted high quality kitchen, with integrated hob, oven and cooker hood. 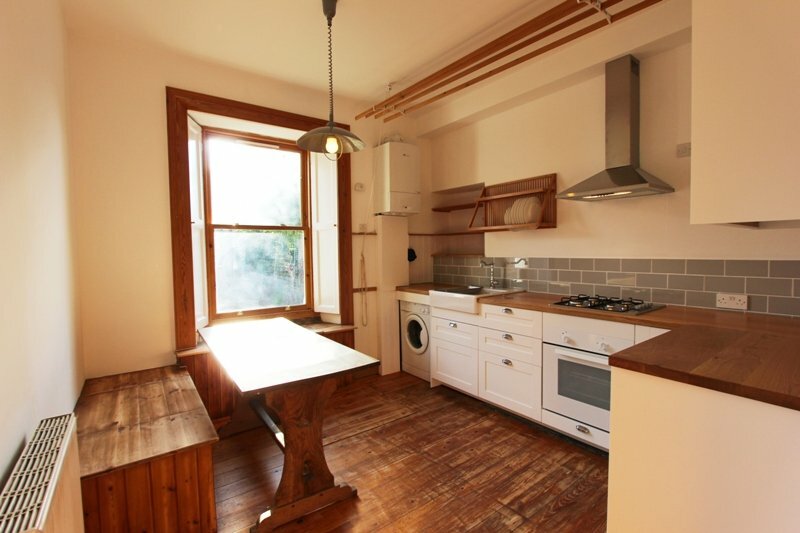 The kitchen also has a washing machine included in the sale along with solid oak dining table. 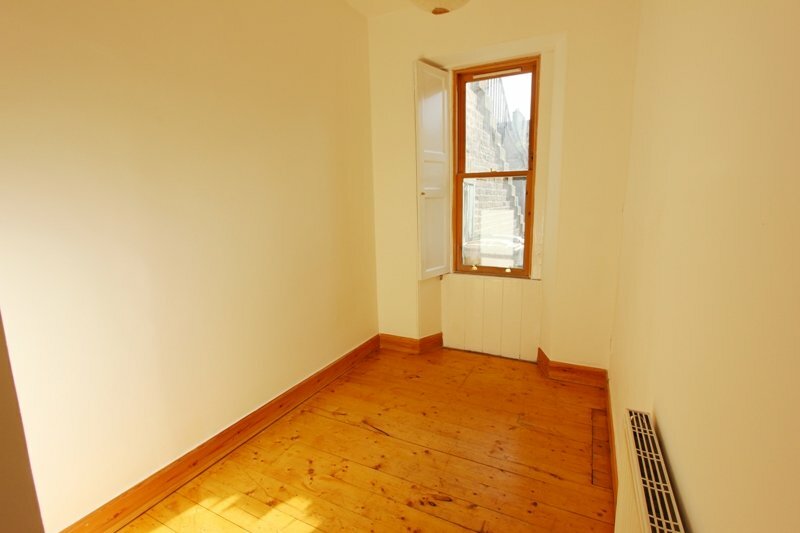 A double bedroom also lies to the rear of the property, providing ideal quiet space. 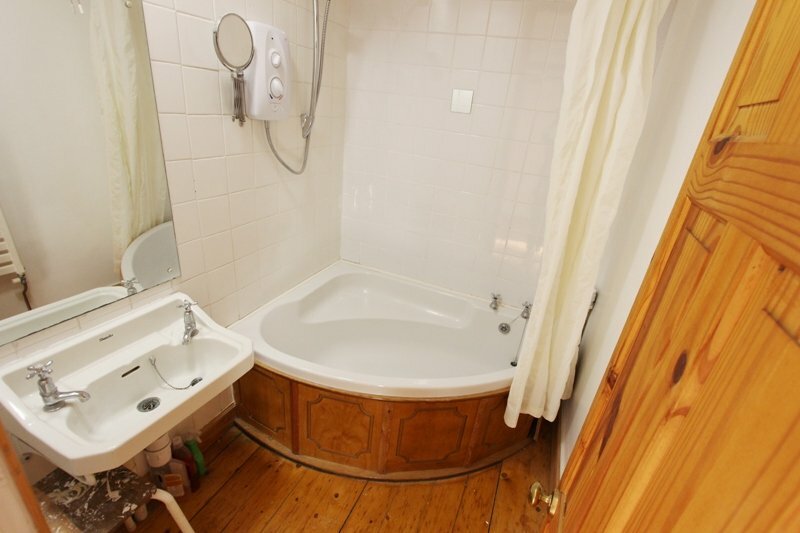 The bathroom provides a feature corner bath with shower over and wash hand basin, with the WC being separate, also off the main hall. 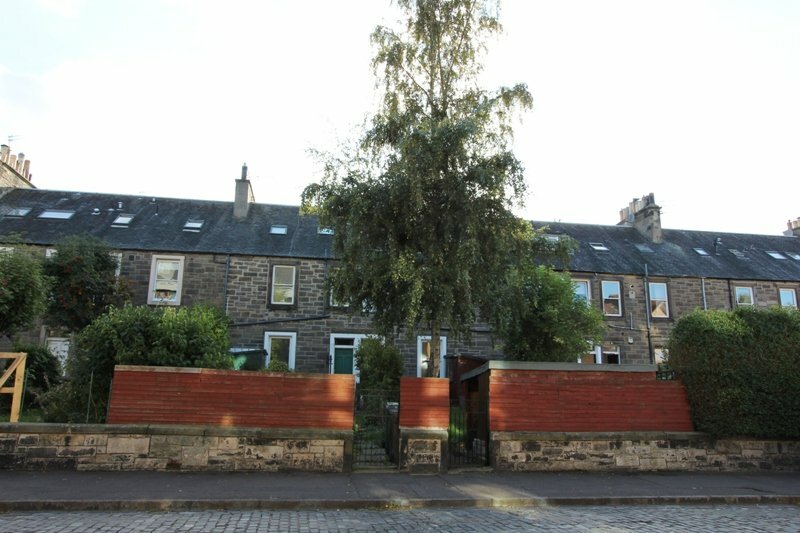 This property is full of character with each room having floor hatches, giving access to low level basement/storage, traditional working window shutters and economical gas central heating and double glazing throughout. 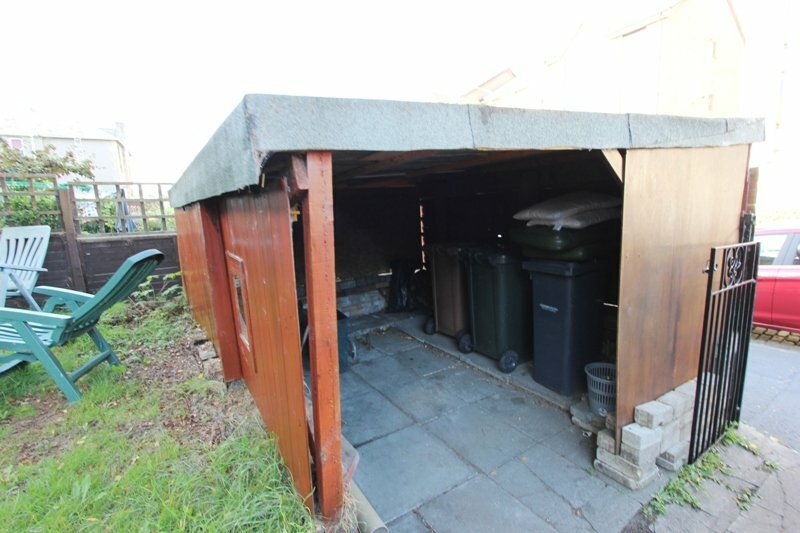 The private garden provides a lovely outdoor space, with a small wooden shed providing excellent storage and a further wooden lean-to store, ideal for storing bins and garden furniture. 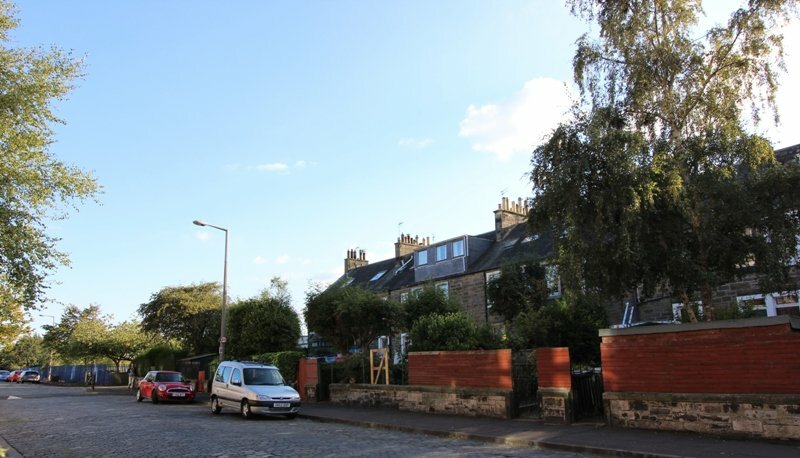 The property lies in a very popular community with unrestricted on street parking immediately outside the garden gate and within easy walking distance of many local shops and eateries. The Ocean Terminal Retail & Leisure Centre is within a short walk as are many public transport links to the City and beyond. Viewings are by appointment only. Please telephone the Agent: 0131 555 2777 or 0131 228 4419 out with office hours for an appointment. The Home Report can be made available upon request. All Offers should be submitted within the format of the Scottish Standard Clauses Edition 2 to the Agent in the first instance. In order to comply with AMLR for Estate Agents verified ID of all potential purchasers must be included with their Offer to be considered.